Today we are reviewing a marvelous automatic movie making software. 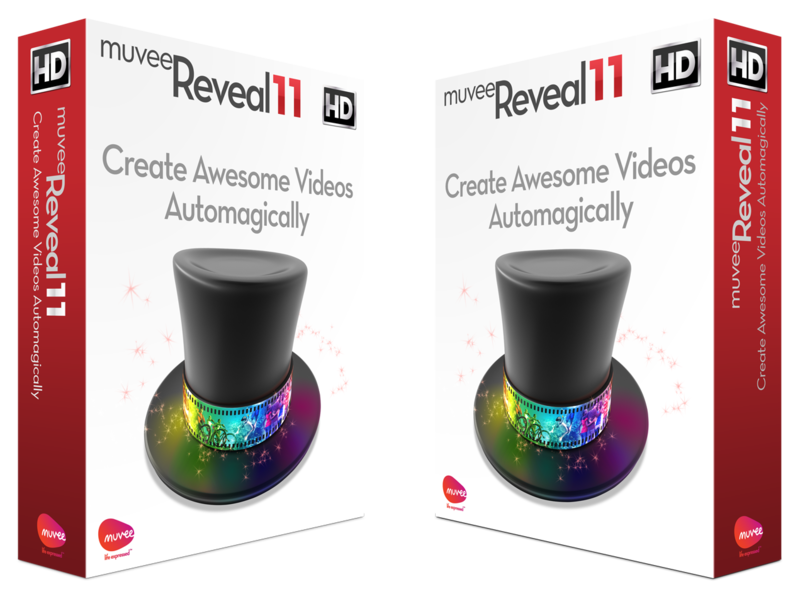 muvee Reveal 11 is the predecessor to popular muvee Reveal X which was launched in 2011. 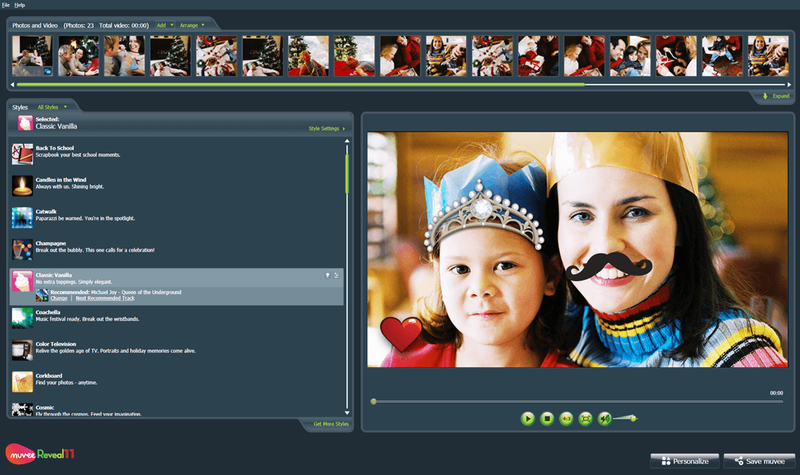 This software have many unique features like photo enhancement, collaborative editing and cinematic trailers. muvee Reveal 11 utilizes the same Artistic Intelligence engine and 3-step video editing process the company is famous for. 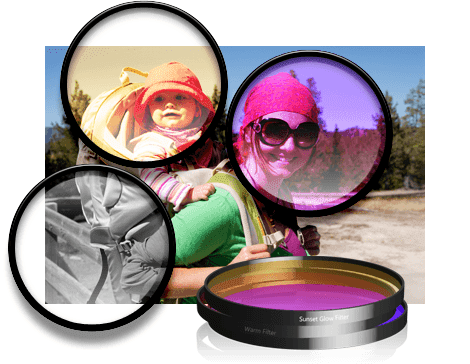 It comes with 5 professionally designed Styles which include effects, transitions, animated text, 3D particle sequence loops, and video and graphics content built in. Cinematic Titles: Professionals created a series of Cinematic Trailer Opening Titles with short music tracks. Users can choose the director, star and location of their productions among other options. Graffiti: This new feature allows users to add stickers, borders,color enhancements and photo overlays to photos and save as an image that can be uploaded to Facebook before using in muvee Reveal 11. 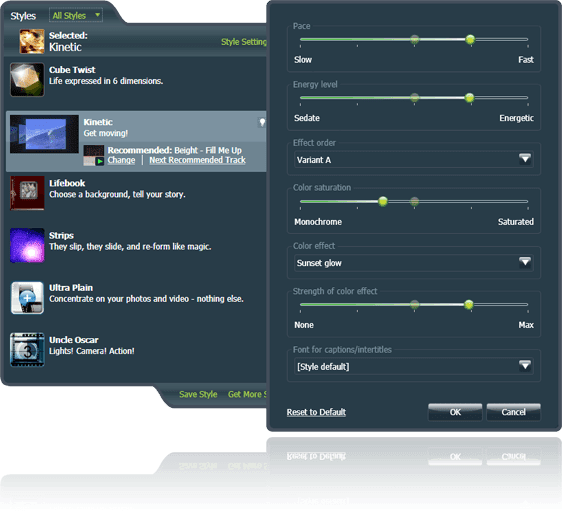 Customized Styles: Users can tweak existing Styles from setting a faster pace, to selecting a color filter, to even changing the default font and background colors and then save their new preferences as a new Style for future use. Media Prioritization: Videos, photos, and music can be controlled in a single page where location shuffles can happen in a click. Collaborative Editing: Zip up your projects and continue editing on another machine. 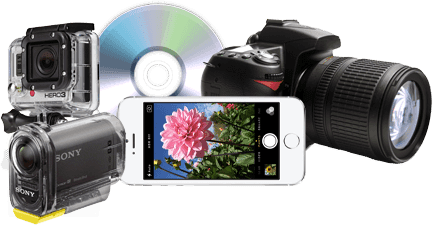 All the photos, videos, and music content along with all settings, captions, Intertitles and every imaginable detailed setting of your project is zipped into a single file for easy sharing and collaborative editing. Capture and Add Video Snapshots: Import a video, and take snapshots of any frame in the video instantly by clicking "Capture". Save to your computer for future use or add to your muvee video production. Billboard-Format Preview: For each Project saved, an individual Billboard will be automatically created and populated with movie details. Users can also preview the Trailer for each Project right off the Billboard. Other updates to the program include the ability to draw on photos as well as posting directly to Vimeo. Music will be offered by Rumblefish, who also licenses music to YouTube and Vimeo. This ensures users’ muvees on YouTube will avoid being flagged for any music infringement. 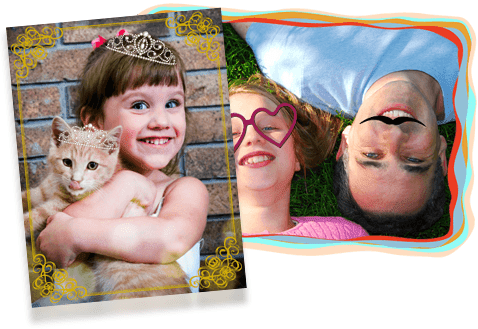 One lucky Bluebird Patch reader will win a muvee 11 Reveal software to use at home. All you have to do is to leave us a comment below and register your entry using our giveaway widget.